Howard and Abby Milstein hosted a dinner and screening to celebrate the U.S. premiere of Shakespeare Uncovered, a series of six films about the playwright that will debut on WNET THIRTEEN in January. The Howard and Abby Milstein Foundation is the lead foundation sponsor of Shakespeare Uncovered, which was produced by Richard Denton for Blakeway Productions, 116 Films, and THIRTEEN in association with Shakespeare’s Globe. 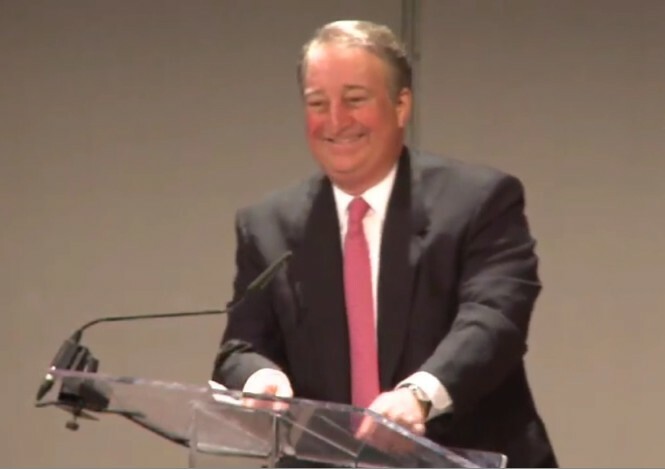 WNET New York Public Media President and CEO Neal Shapiro co-hosted the evening at The TimesCenter in New York on January 8, 2013. Mr. Denton; Trevor Nunn, noted director and host of Shakespeare Uncovered: The Tempest; and Oskar Eustis, artistic director of The Public Theater/New York Shakespeare Festival, took part in a discussion moderated by Stephen Segaller, WNET THIRTEEN vice president for programming, in connection with the screening. An appreciative audience filled the Screening Room at The TimesCenter for the dinner, screening, and illuminating discussion. A well-known actor or director hosts each Shakespeare Uncovered program, which focuses on a play and its background, history, and influence. Excerpts from performances staged especially for the series at Shakespeare’s Globe, as well as television and film adaptations, are featured in each program. To illustrate the historical context contemporary playgoers might have been familiar with, the producers sent crews to Dunsinane, Scotland, for the Macbeth program, hosted by Ethan Hawke, and to Agincourt, France, for the program on Henry IV and Henry V, hosted by Jeremy Irons. 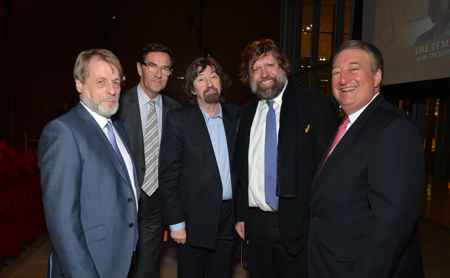 Richard Denton, Shakespeare Uncovered producer; Stephen Segaller, vice president for programming at WNET; Sir Trevor Nunn, host of Shakespeare Uncovered: The Tempest and noted director; Oskar Eustis, artistic director of The Public Theater; and Howard Milstein (left to right) at the screening of Shakespeare Uncovered. Howard Milstein welcomes guests to the premiere of Shakespeare Uncovered. 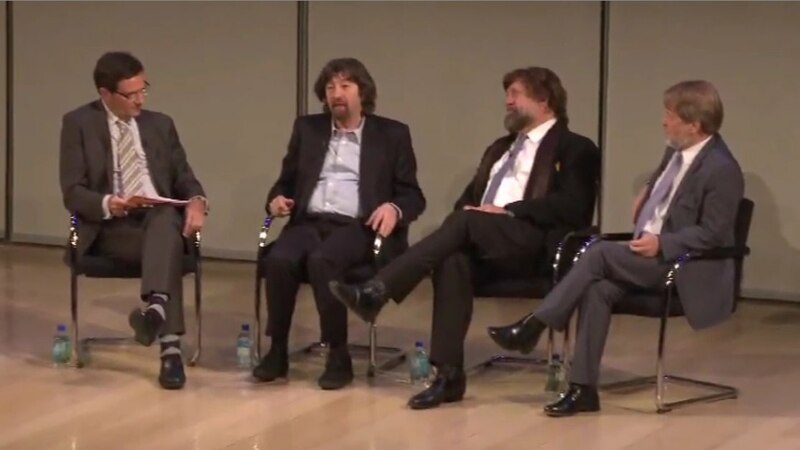 Stephen Segaller, vice president for programming of WNET, moderates a panel discussion with Sir Trevor Nunn, host of Shakespeare Uncovered: The Tempest and noted director; Oskar Eustis, artistic director of The Public Theater/New York Shakespeare Festival; and Richard Denton, Shakespeare Uncovered producer (left to right). 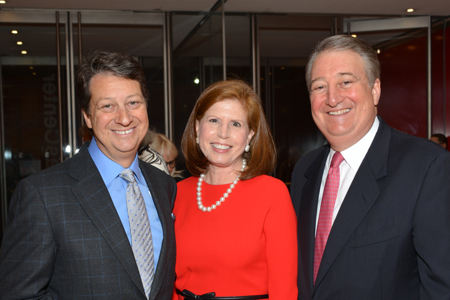 Neal Shapiro, president and CEO of WNET New York Public Media, with Abby and Howard Milstein at the reception for Shakespeare Uncovered.